Since 1935, Columns has been the leading student-media publication at Notre Dame of Maryland University in Baltimore, Maryland. The paper is written, edited and staffed by a team of undergraduate students from the women’s college and publishes once a month in print during the school year. Columns is distributed to over 3,000 students, staff, faculty, alumni and other members of the Notre Dame community in several campus locations. The publication covers campus and local news, as well as sections dedicated to sports, arts and entertainment and the opinion/editorial views of student writers. As the student-run newspaper of Notre Dame of Maryland University, Columns, as a newspaper, performs an important communication for the members of the Notre Dame community (students, faculty, staff, alumni, etc.) and the local Baltimore community. It is the primary vehicle for relaying campus and local news while maintaining honesty and truth at its core. While we do have faculty involved with the process, our paper is a separate entity from the administration of Notre Dame. Columns exists not only to celebrate university accomplishments, but to be a watchdog over university happenings. All students have the right to say as they choose, as long as it’s professional and not demeaning. 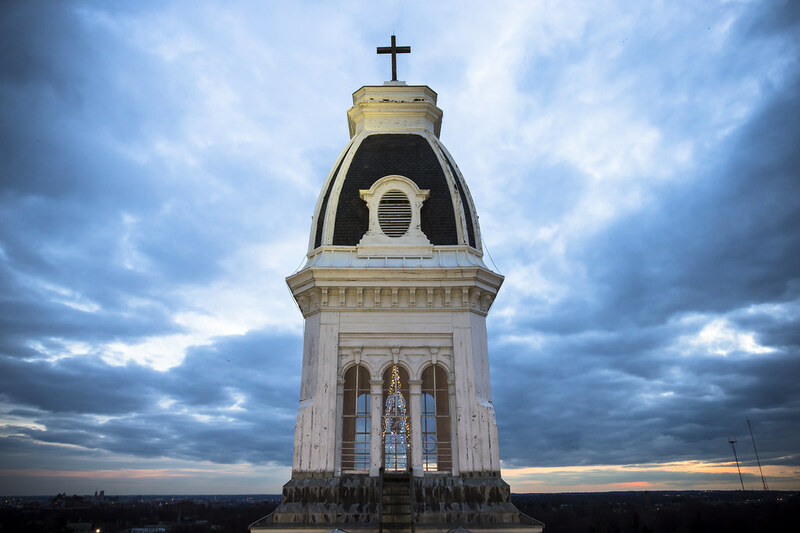 Columns seeks to bring new ideas, address problems that impact everyone inside and outside the Notre Dame community and speak about what truly matters to us. Columns is a newspaper ran by students—all work (articles, pictures, layout, etc.) is produced by students from the university, unless notified. This paper does not necessarily represent the views of administration, faculty or students of Notre Dame of Maryland. Editorials do not necessarily represent the editorial position of Columns and are distinguished by the staff’s byline. The editorial board has the right to edit or reject any content that views objectionable. If you have any questions or concerns, please email us at ndmucolumns@gmail.com.